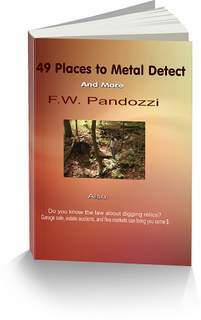 Below is a list of New Jersey metal detecting clubs. The DSMDC is a group of Metal Detecting enthusiasts who meet monthly to share their treasure finds with fellow members and discuss some of their tips and tricks of the trade. The meetings are held from 7:00 p.m. to 9:00 p.m. Members and guests may arrive as early as 6:30 p.m. This will give everyone time to socialize, so we can start on time. Come join the fun! Visitors are always welcome. Our meetings are held at the Minnie B. Veal Community Center, 1070 Grove Ave., Edison, NJ. From 7:00 p.m. to 9:00 p.m Members and guests may arrive as early as 6:30 p.m. This will give everyone time to socialize, so we can start on time. Our meetings are held on the 2nd Sunday of each month at 6 PM but that is subject to change. There is no meeting in July. For meeting changes, please check the newsletter or Blog section of the website. The location is in the Switlick Park Recreation Center, at the intersection of Fisher Place and Joe DiMaggio Rd. located in Hamilton Twp., NJ 08691. The South Jersey Metal Detecting Club was established in 1972. We have over 100 active members from the tri-state area. We are a friendly group of people, looking to promote the hobby of metal detecting. We also aid law enforcement officials whenever possible. We meet the 2nd Thursday of every month at the Haddon Heights Municipal Building, 625 Station Ave. Camden County NJ . Meetings start at 7:30pm. The East Coast Research and Discovery Association meets on the third Tuesday of every month at 7 pm (except December, when we have our holiday party)) in Pompton Plains NJ. All are welcome -- drop in and introduce yourself! Come for the refreshments, meet the members, swap metal-detecting tips, find out what's for trade or for sale. Check out our Finds of the Month competition. We often feature guest speakers, and somebody's always got a collection to show. Please use the form below if any information regarding New Jersey metal detecting clubs is incorrect, or if you would like me to ad information about a club I may have missed.